In Dallas, Texas, most homes have garages. 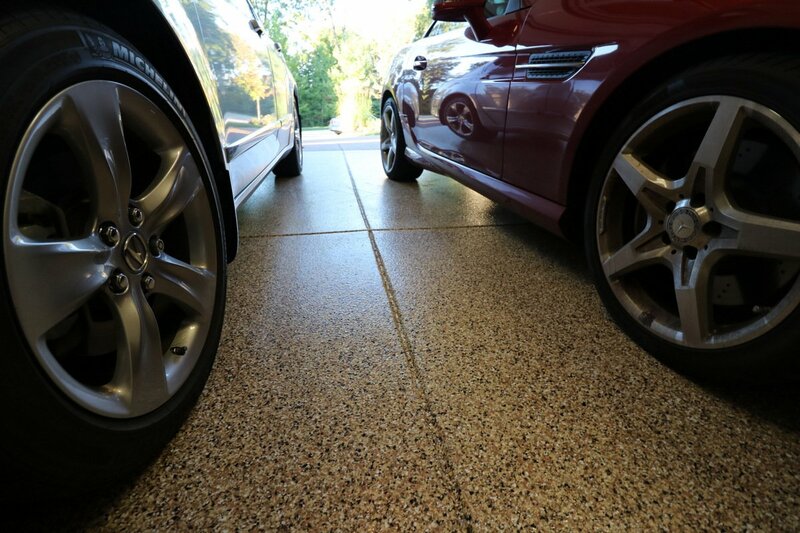 Although not all residents use them for their cars, garage flooring goes through wear and tear on a daily basis. Be it a parking spot, a workshop, or a storage area, the floor of a garage need to be designed for years of heavy-duty use. Those who say grease, oil, cracks, and holes are normal on a garage floor have not heard of decorative concrete resurfacing. It provides a new surface for an old garage floor that is durable and always looks new. Why strain yourself with an ugly and hard to maintain floor when there are more practical garage flooring options? Epoxy Flooring – Epoxy is known for its durability. This two-part material is applied thinly on a concrete floor and then left to dry for a couple of days. Epoxy flooring garage is known for its durability and resistance to impact, heat, and stains. It is recommended to let a professional epoxy garage floors because it needs to be mixed, spread, and levelled efficiently for optimum results. Polyurea Polyaspartic Coating – This epoxy alternative is known for its rugged industrial quality. Its durability is not surprising since it was originally developed for use on industrial floors in factories, hangars, warehouses, and more. This is an ideal garage floor coating for those who are looking to resurface their garages immediately. Its quick-dry feature allows the floor to dry and harden in as little as a day. Want quality-inspired garage flooring? Give us a call at (972) 885-6067! Why waste your time scrubbing and cleaning the grease off of your old garage floors when you can have one that requires minimal maintenance? We at Dallas Concrete Surfaces want to help simplify your life by providing garage coatings that are easy to apply but hard to resist. We have decades of experience in the decorative concrete industry and we are confident that we can turn your old, damaged garage flooring into something you can be proud of. All it takes is a phone call. Dial (972) 885-6067 now and let’s explore your options!